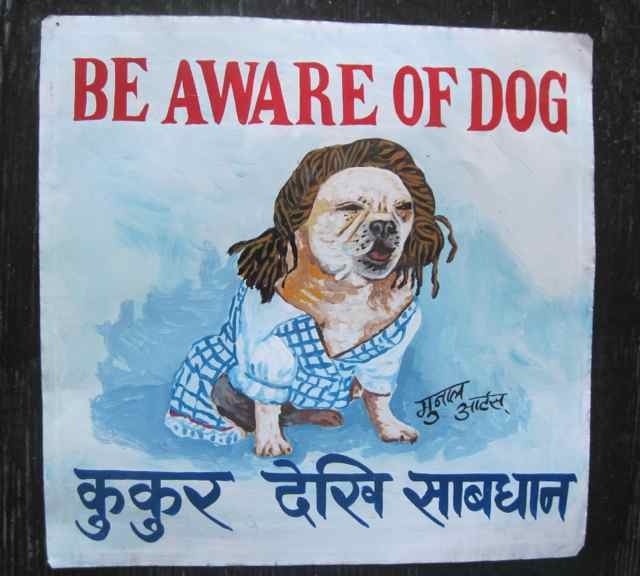 BE AWARE OF DOG signs from Nepal are one-of-a-kind, hand painted Fair Trade portraits of dogs commissioned by their owners and rendered in startling detail on metal. 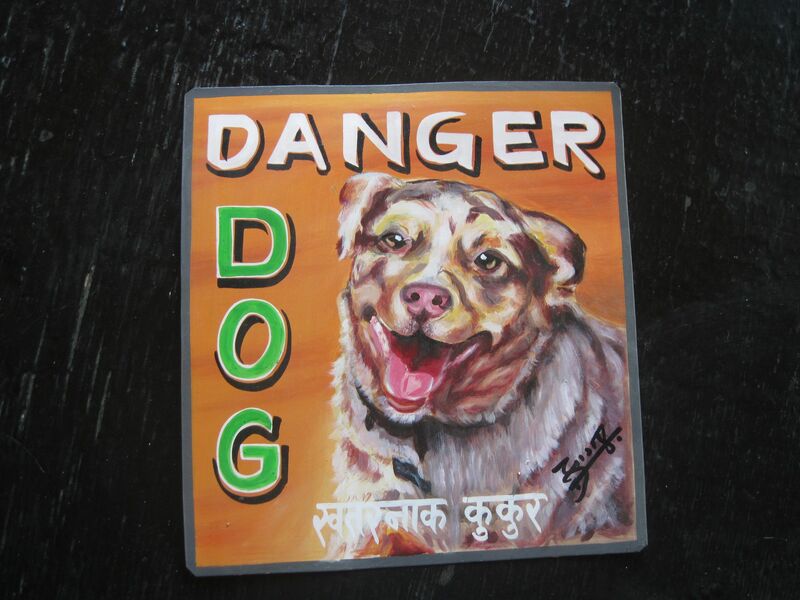 “Danger Dog” and other charming variations on the “Beware of Dog” theme are written in Nepalese and/or English, according to your specifications, and turned into a uniquely personalized work of art. 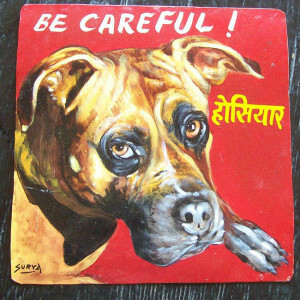 These artists’ work is quickly being replaced by digital technology, even in Nepal. Your pet’s portrait can be rendered in the naïve, almost primitive style that results in a “doggie mug shot,” or it can have a playful smile, a wary and growling demeanor, or a dangerous gleam in its eye. In America as in faraway Nepal, these signs can be as effective as any alarm system, and are practical for indoor or outdoors. This hand-painted art form is fast disappearing in Kathmandu, as it already has in most parts of the world. 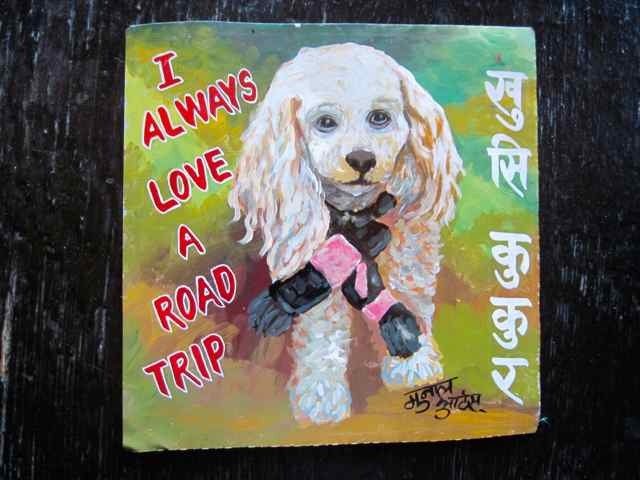 I pay fair trade wages, the artists get to paint again, pet lovers get a choice of three paintings for each commission, and I get to help Nepali artists make a living. Everybody is happy. 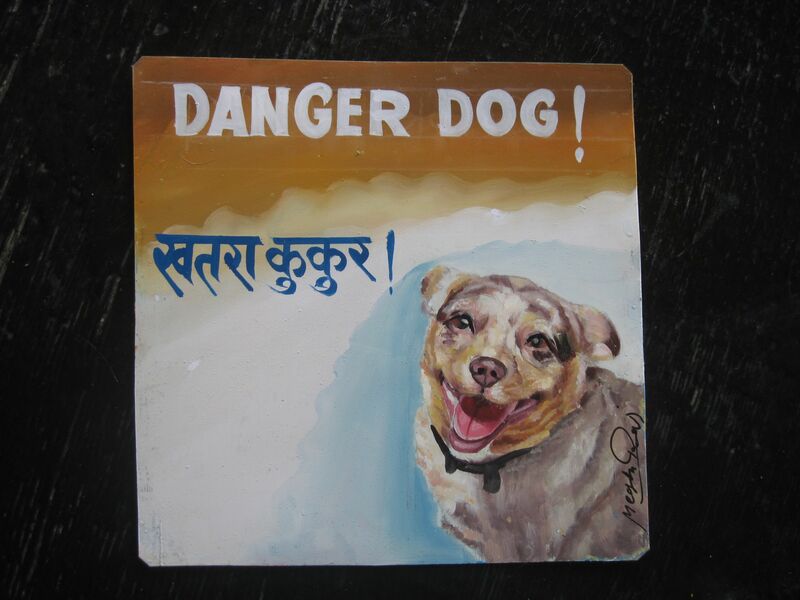 Rescue dogs from America get to rescue artists from Nepal! Be ahead of the pack. 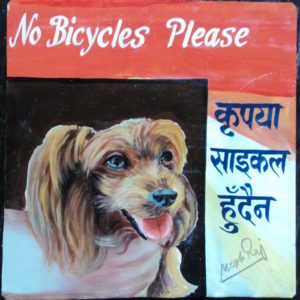 I am leaving for Kathmandu to order custom portraits of your pet in October, 2019. I will return in early MDecember, 2019. Now is a great time to order. The artists need help more than ever since the April 25, 2015 earthquake. 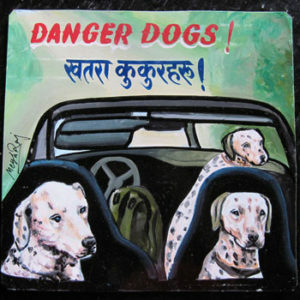 The Danger Dogs make wonderful presents, as you can imagine. 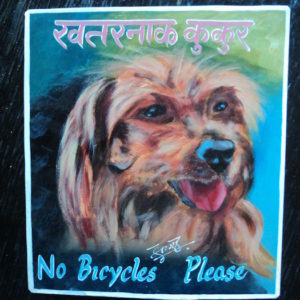 Order your Nepal Art Dog (or Cat, bird or horse) today. To see how to order and pricing, please click here for How to Order or above on the How to Order tab. 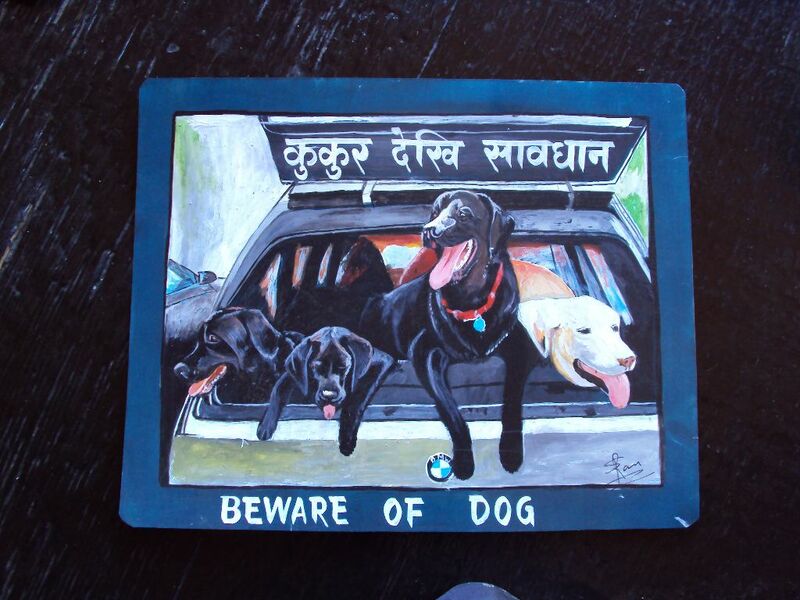 This hand painted portrait of 3 Dalmatians in a sporty Porsche convertible is one of a kind. 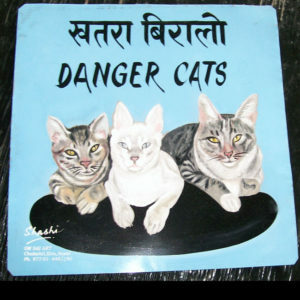 These 3 Tabby Kittens could not look less dangerous, except I am not sure why ShaShi placed them on what looks like a black vinyl record. These 4 Labrador Retrievers hanging out of a BMW hatchback are beautiful and a hoot at the same time. 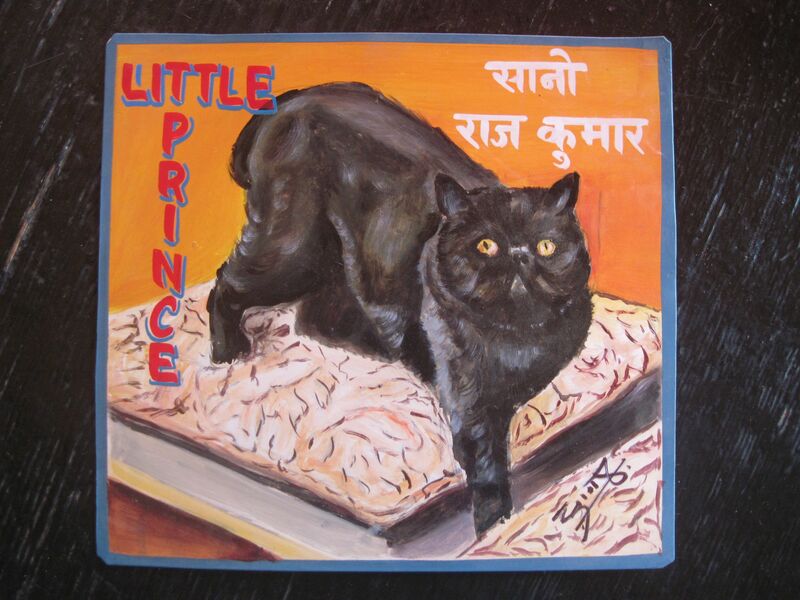 Hand Painted with loving care by Sanjib, this is acrylic on metal and would not last outdoors, unlike the other artists. Sanjib is a fine artist in Nepal and I found him while he was painting murals for a friend. A Folk art Bulldog dressed as Dorothy from the Wizard of Oz. 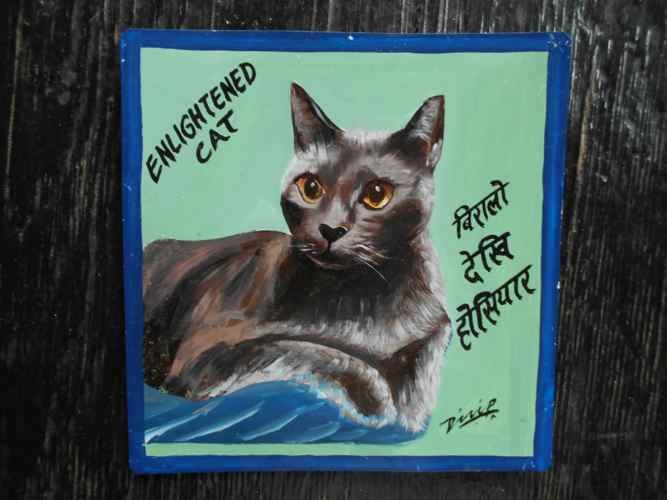 This is Hammie, hand painted on metal by the artist Jit Gurung. 12″x12″. 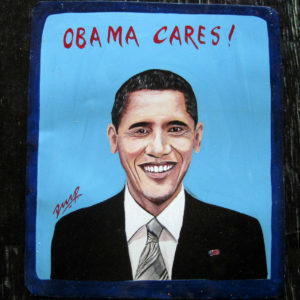 A hand painted folk art portrait of President Barack Hussein Obama on metal by the Nepali signboard artist, Dilip Niroj. 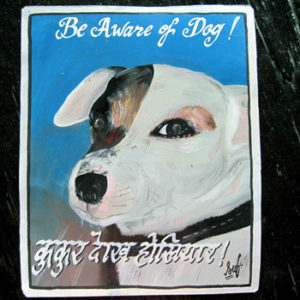 Sufraj Khadka painted this close up of the handsome Aesop, a Jack Russell Terrier. 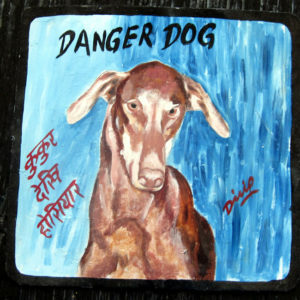 Alfie’s big grin is perfectly captured here on metal by Sagar Bitsa. Megh Raj Thapa hand painted this sweet portrait of Alfie, an Australian Cattle Dog. Maddy the Apricot Poodle is hand painted on metal by Jit Gurung in the style of Gaugin. That is what Maddy’s companion asked and what Jit delivered! Maddy obviously loves her car rides as well. 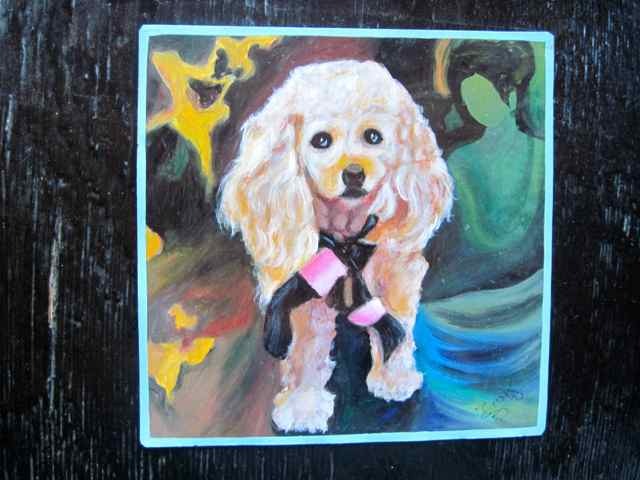 Maddy the Apricot Poodle is hand painted on metal in this portrait by Sagar. 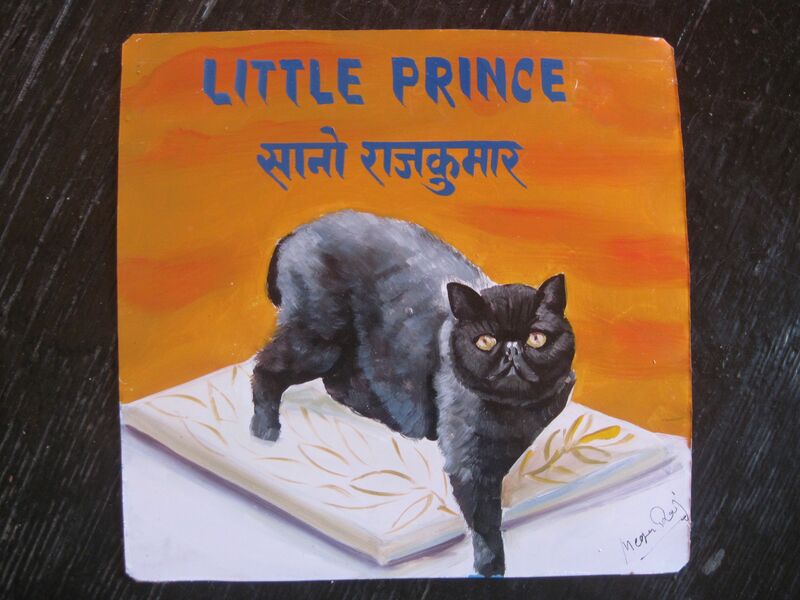 Maddy’s owner asked to have her done in the style of Gaugin and Sagar was happy to oblige. Ashmont by Dilip was one of my favorites the fall trip of 2014. This stunning Grey Cat’s eyes are mesmerizing in this hand painted portrait.